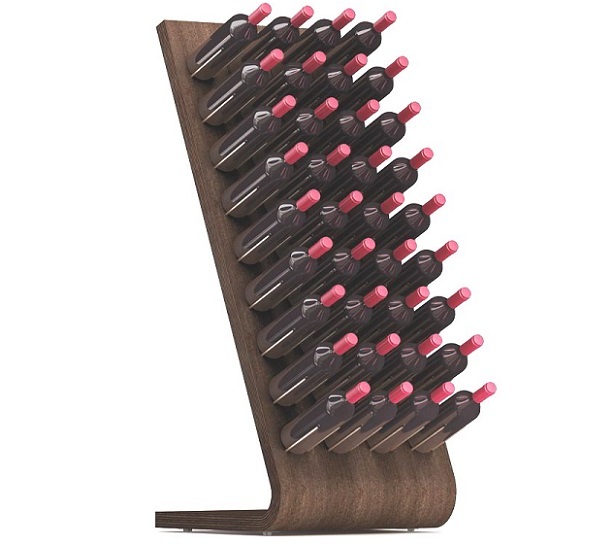 Esigo 4, the modern wine rack with a design that stays clear of tradition, focusing on the future highlighted by the choice of materials which are able to condense aesthetic and functional values. This curved wooden wine rack is the ideal solution for all your special occasions, and is even fitted with wheels making it exceptionally easy to handle. When positioned in strategic areas, it becomes a fundamental communication point when furnishing wine bars, wine shops, wineries tasting rooms and retail shops. Check out the Esigo 4 Tech version.